Getting students to TEACH, not to PRESENT! With classroom space limited, consider building up a ‘Word Wall’ on available windows or glass doors. Window crayons can be purchased cheaply on Amazon. Whenever a new or interesting word crops up in discussion or through reading, add it to the wall. Thanks to @kenradical for providing me with the inspiration for this idea! Consider having separate word walls for different year groups. The word wall can be used for regular lesson starters. With younger classes, invite a different student each lesson to ask for a definition of one of the words added by the older classes. 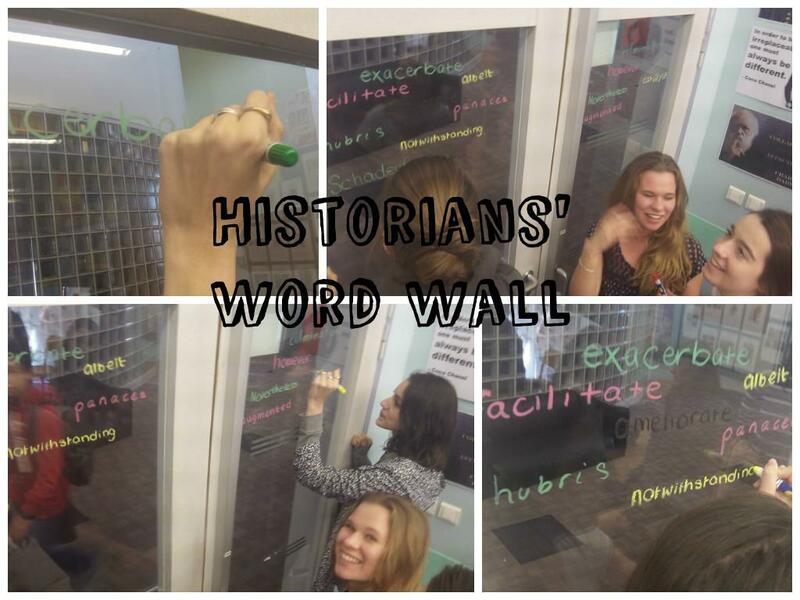 With older classes, challenge students to construct a sentence using different words from the wall in relation to the topic currently being studied.